So this weekend my family and I took a trip to the famously known Sin City. Though I didn't really commit any sins per say haha. I'm not 21 yet so I didn't really have the full on Vegas experience, but it's still a really fun place to visit. The Strip (which is what they call the entire street where the hotels are located) is amazing! I loved just driving past it in the daytime and then coming back to walk around at night! I seriously think everyone should experience it at least once. Especially if you're 21 because you actually get to gamble at the casinos and party till the sun comes up haha. *Sorry that some of these pictures are a little blurry but I was walking and in a car while taking these. Vegas consists of constant walking unless you want to get walked all over by the passing crowd haha. Apparently the weekend in which I was there was the iHeart radio music festival! Which I was not aware of! I was literally so close! Yet so far away from: Sam Smith, Demi Lovato, The Weeknd, Nick Jonas, Echo Smith, Shawn Mendes, Fetty Wap, Fall Out Boy, Jennifer Lopez, Tove Lo, and all the other performers that were there :'( Literally so close!! *These pictures don't even begin to show everything that can be seen on the strip. I was only able to capture so many. Well I actually got to do it!! On our way back home we drove past the California and Nevada state line. I made my mom stop and go back just for this haha. "Sometimes you just need a break in a beautiful place, alone or with someone you love to just ... be"
I love these photos!!! (especially the 'Crystal' fine dining and shopping one, haha). 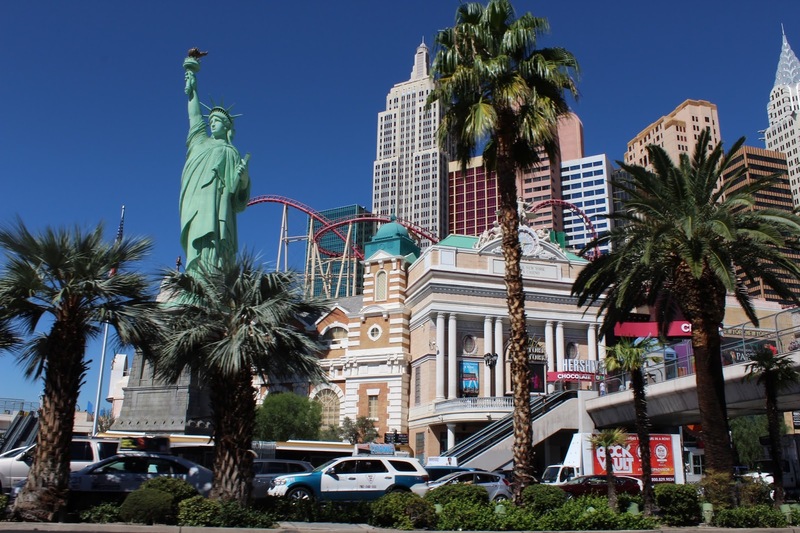 It's so funny because my friend is currently and Vegas now and she's been posting very similar photos that you just showed (aka the Statue of Liberty). Glad to hear you had a great time, this is definitely a place on my bucket list! 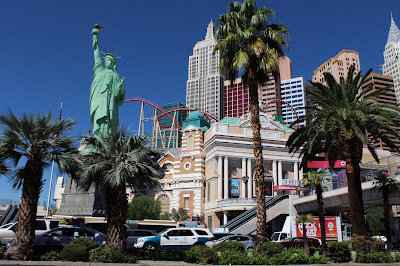 I'd really love to visit vagas and it's amazing that you got the chance to go ! It looks stunning :) I'm so glad you had a lovely time and these are brilliant photos considering you were moving ! Those photos look amazing :) It must have been a great experience! I went to Las Vegas over the summer with my boyfriend( weeks before my 21st birthday).However , There is still so much to do there. So many sights and shows. Did you get to see the fountains in front of the Bellagio( I think you included a picture of it right)? I unfortunately didn't but that gives me something to look forward to on my next trip ( and the fact I could have some 21 fun, haha) . If your interested in reading about my experience in Vegas , I could share the link to that post. Thank you :) LA is definitley on my bucket list as well. I've driven by several times and stayed at places like Anaheim but never really visited. I really want to go to Santa Monica. Vegas looks amazing and the pictures are great, Crystal. I'm really sorry that you didn't know about the iHeart sooner. I'm sure there'll be plenty of other opportunities and you'll see everyone you like. Hope you had an amazing time and I really envy you for seeing Vegas at night-it must have been stunning. Great post as always. Have a lovely day. Hey, these Las Vegas pictures are so glorious. I have been to these place several times and I am highly obsessed with the beauty of this place. Pretty soon we are going to explore San Francisco venues. I would love to visit all the idyllic places over there.